By Charles Moffat - Updated 2007. 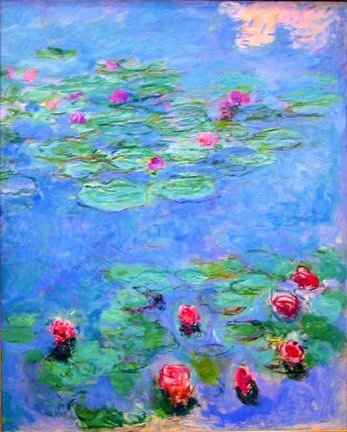 IMPRESSIONISM was an art movement that started in the mid-19th century and rose to popularity in the last quarter of the century. The movement was inspired by a variety of factors, including anti-establishment, foreign/asian influences and a desire to paint modern life instead of academic subjects of history and mythology. 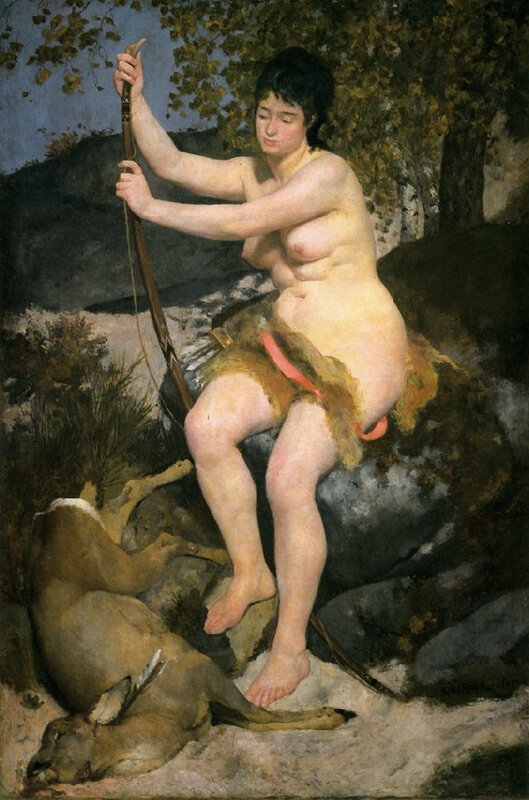 Anti-establishment artists such as Gustave Courbet, Jean Francois Millet and Rosa Bonheur had already started to paint real life images (Realism) instead of mythology, fantasy and historical topics, but they were still painting using traditional techniques of applying paint (applying the paint smoothly to the canvas and blending it to create a flat surface). 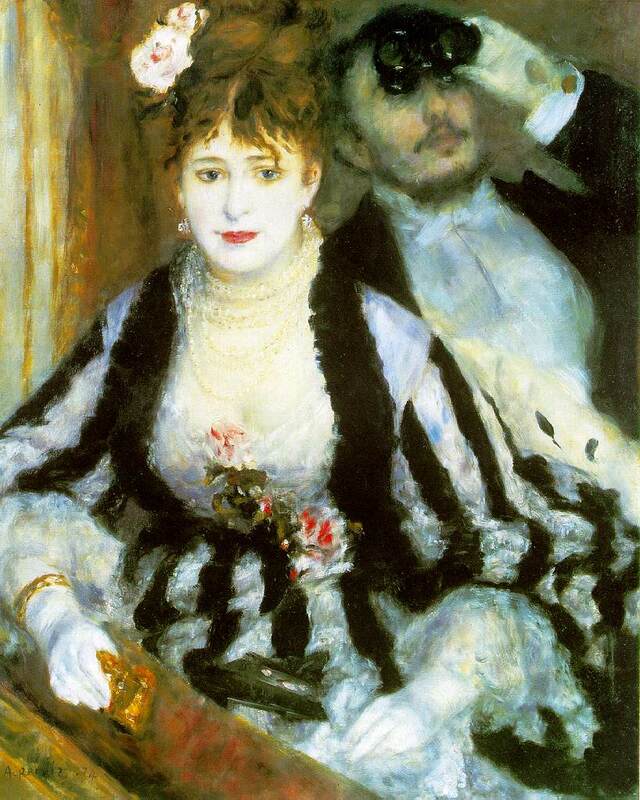 Even artists like Edouard Manet (who began his career as a controversial realist but would later add impressionist touches to his work) tried to keep the surface of his canvas flat and smooth, a technique he eventually abandoned. 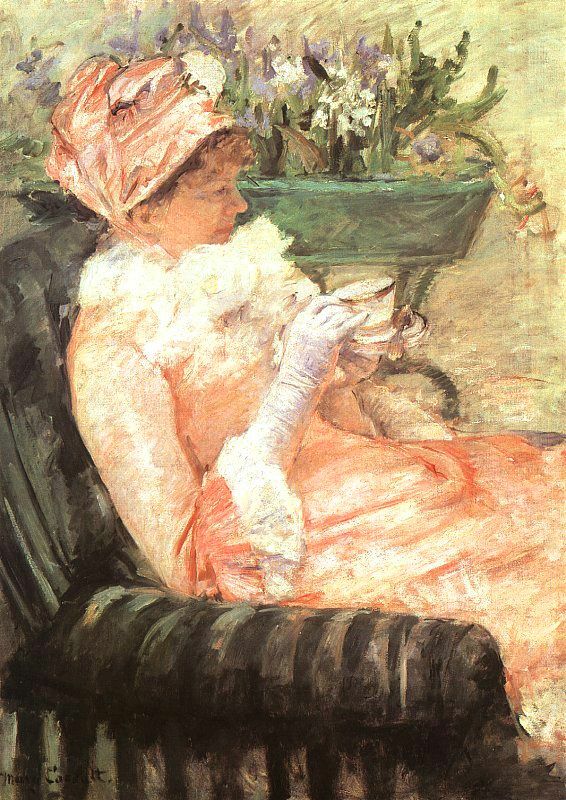 Manet's work was instrumental to the start of impressionism, but it was not impressionism. 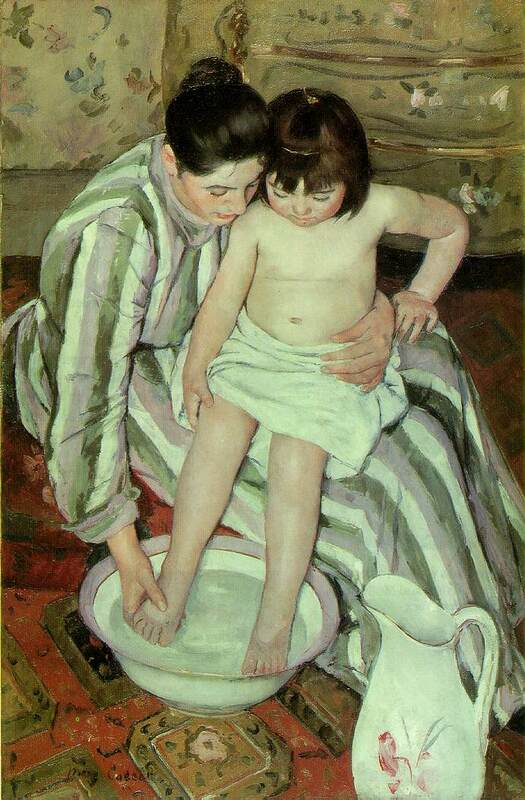 It was identifiably realism, with a few ideas borrowed from Japanese prints. 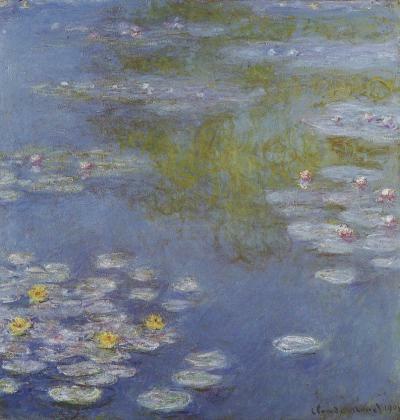 But it was not old Manet who would be the first impressionist. 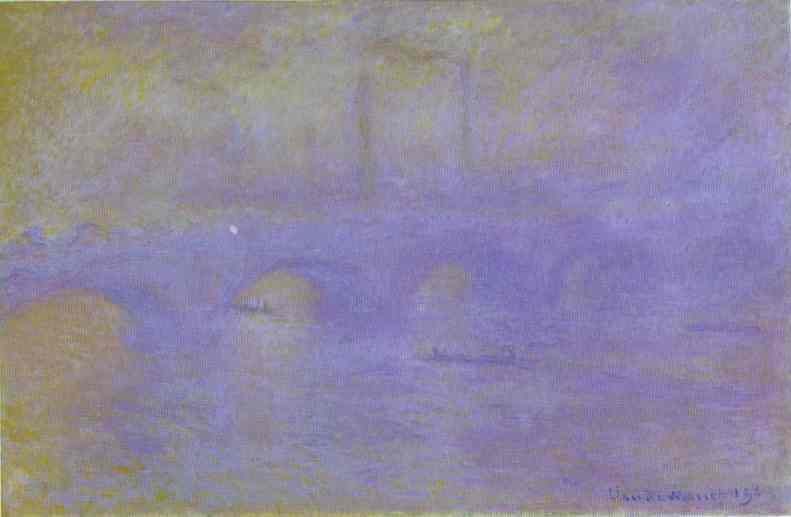 It was young Monet. 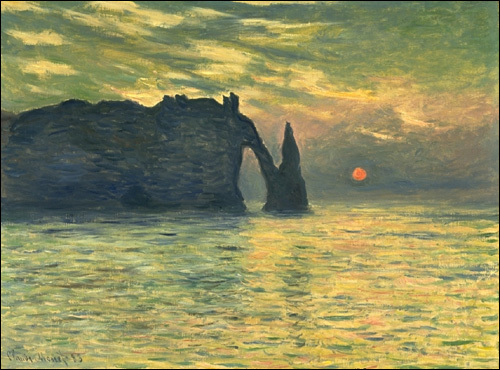 Claude Monet exhibited his landscape "Impression: Sunrise" in the 1872 Paris Salon which provoked the art critic Louis Leroy to coin the term "Impressionism" in a satiric review published in Le Charivari. 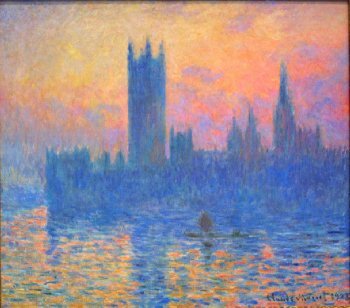 That term "Impressionism" soon took on its own meaning and Monet and his artist friends (who painted in similar styles) eventually created their own Impressionist Exhibition in 1874, which fared poorly but was followed by more exhibitions which started to gather more and more interest. 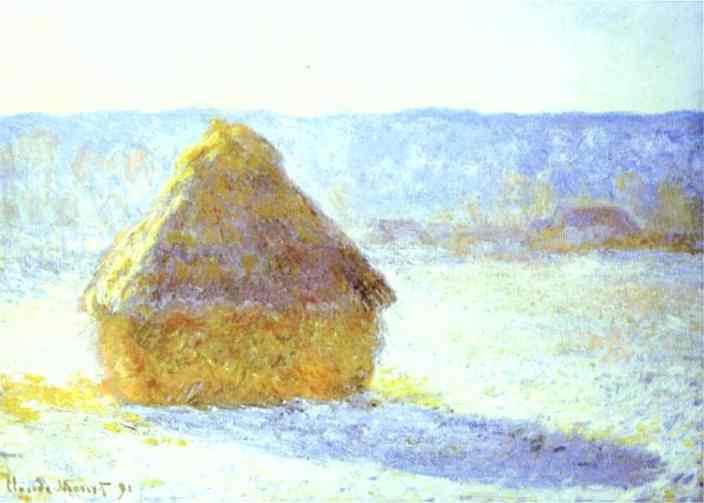 Eventually French Impressionism would fundamentally change European art as it inspired later movements (neo-impressionism, post-impressionism, etc), spread to other countries and overseas. 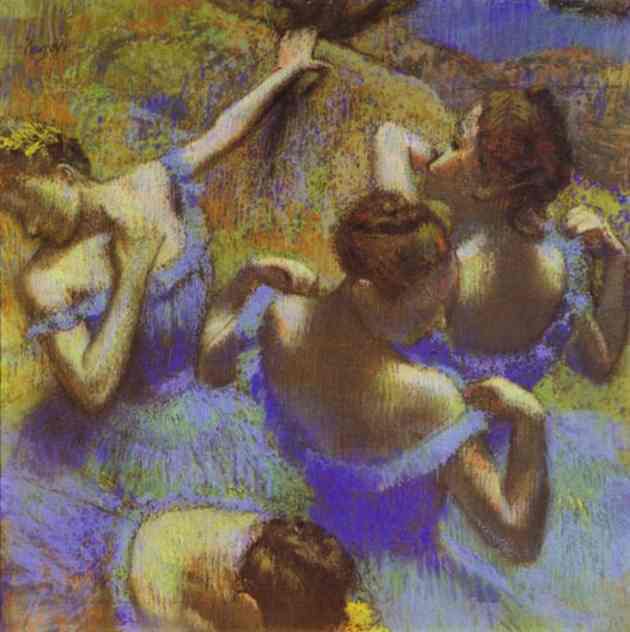 So much so that by the 1920s the early impressionists were almost forgotten due to the popularity of other art movements. 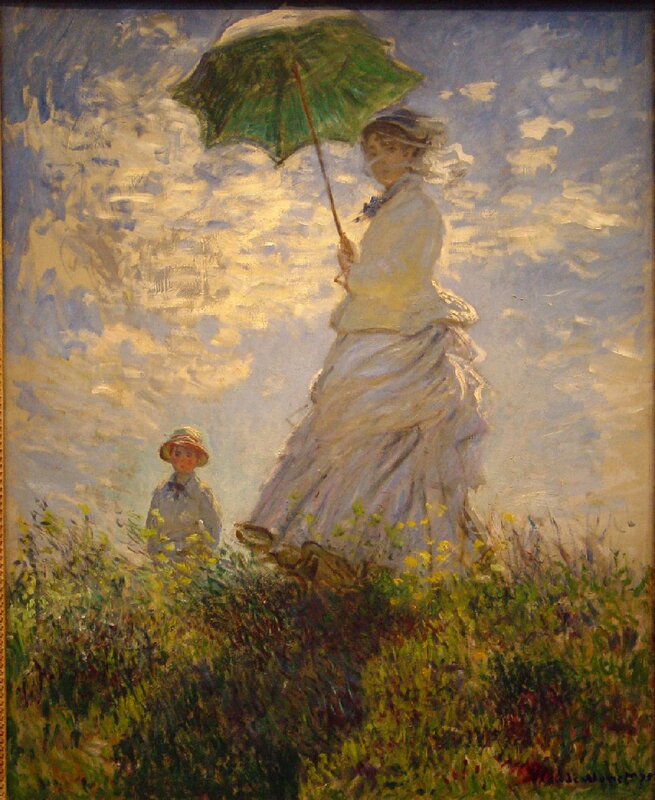 Eventually in the 1950s Impressionism came back in vogue and Parisien art galleries became overwhelmed by tourists from overseas wanting to see French Impressionism. 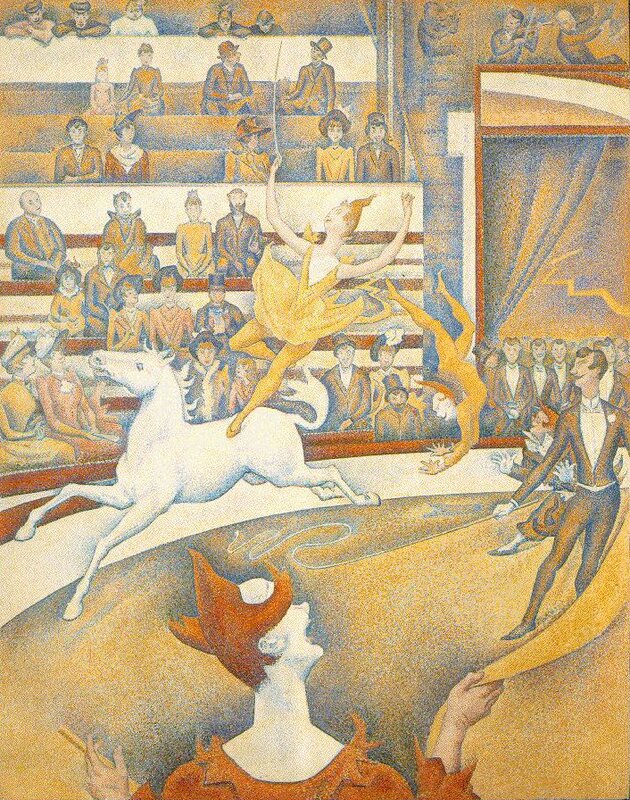 1791 - In Paris, the Salon exhibits works by members of the French Académie Royale de Peinture et de Sculpture. 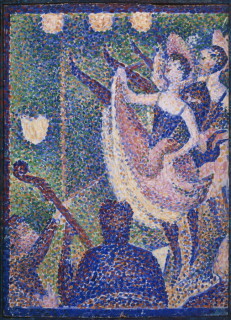 Although originally open to all artists, the advent of a jury to organize the exhibition led to a process of selection. The Salon’s jury became an outlet for a narrow circle of officially approved artists. After a change in 1864, only previous winners of medals in the Salon could sit on the jury, which later led to conservatism and prejudice against the Impressionist movement. 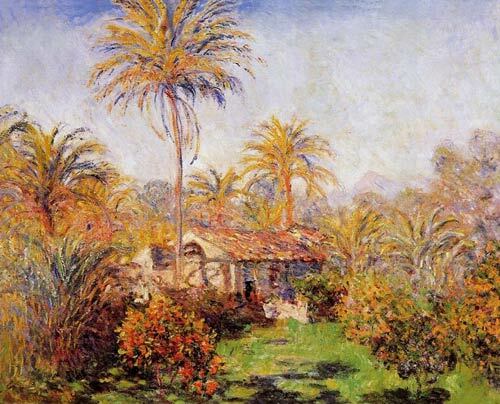 1830 - Camille Pissarro is born in St. Thomas, West Indies. 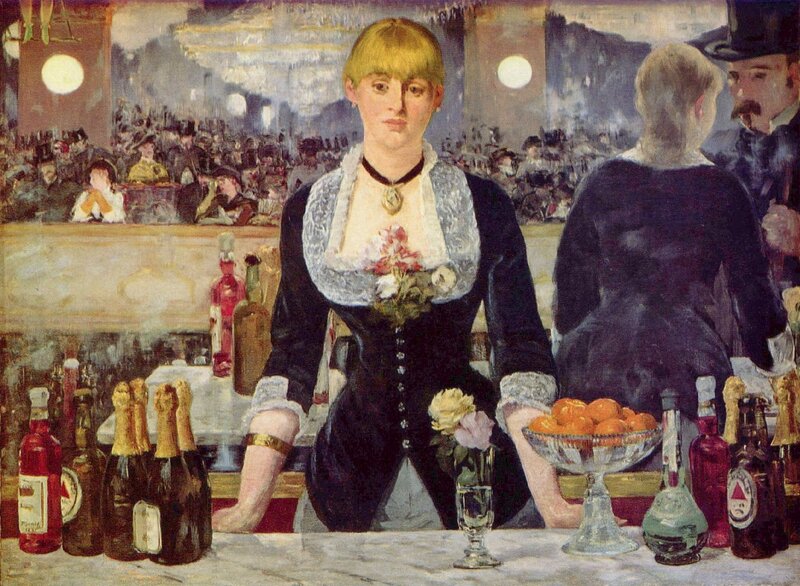 1832 - Edouard Manet is born in Paris. 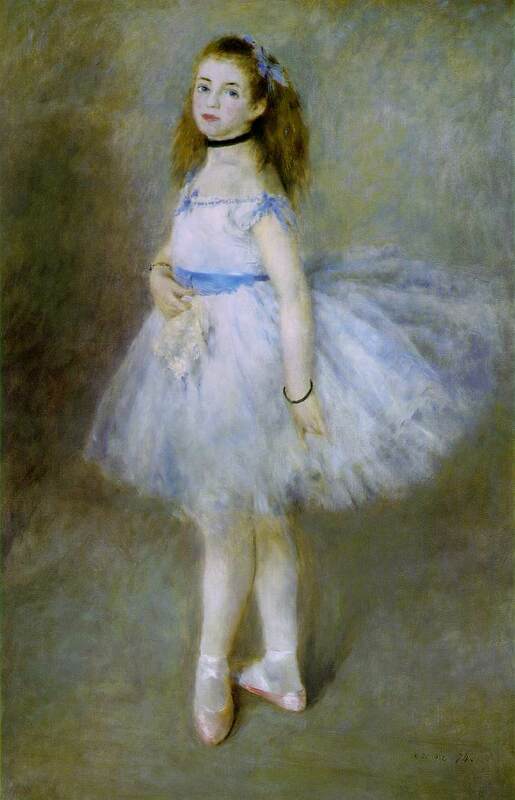 1834 - Edgar Degas is born to a rich banker and Creole mother. 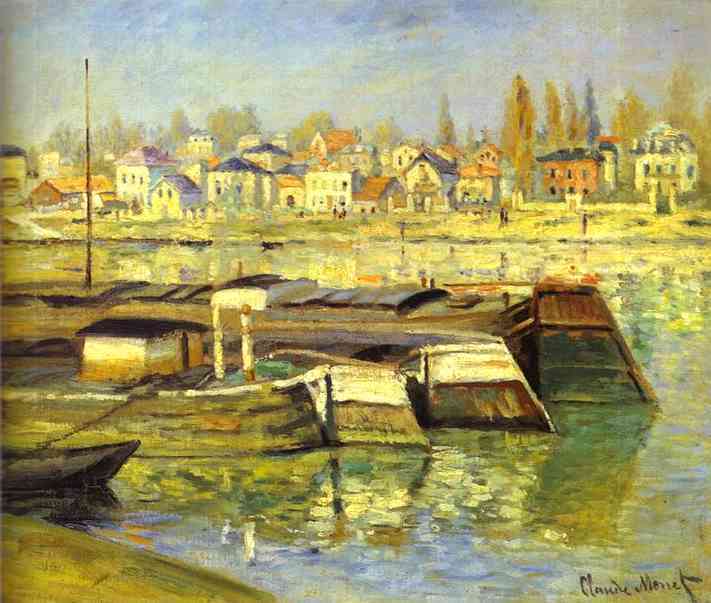 1839 - Paul Cézanne is born in Aix-en-Provence and Alfred Sisley is born in Paris. 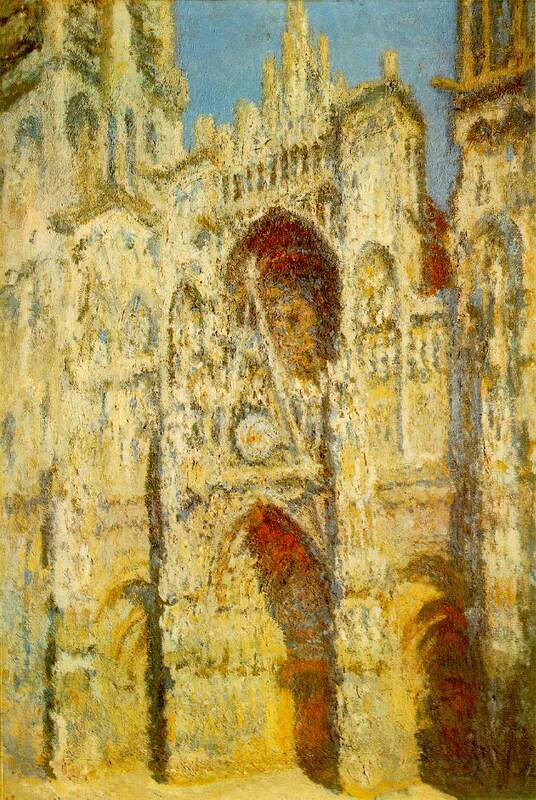 1840 - Claude Monet is born in Paris. 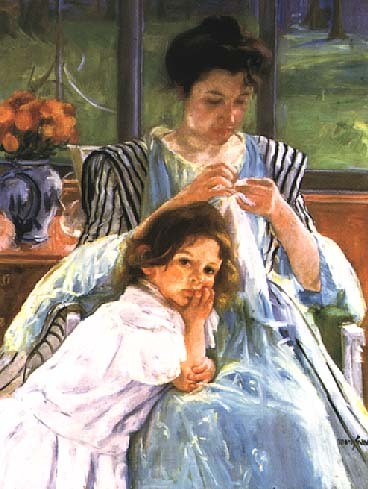 1841 - Berthe Morisot is born, Pierre-Auguste Renoir is born in Limoges and Armand Guillaumin is born in Paris. 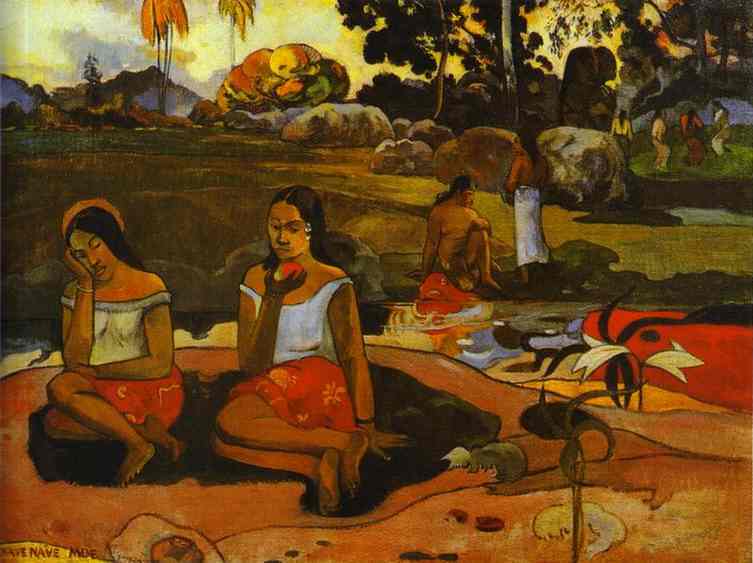 1848 - Paul Gauguin is born in Paris. 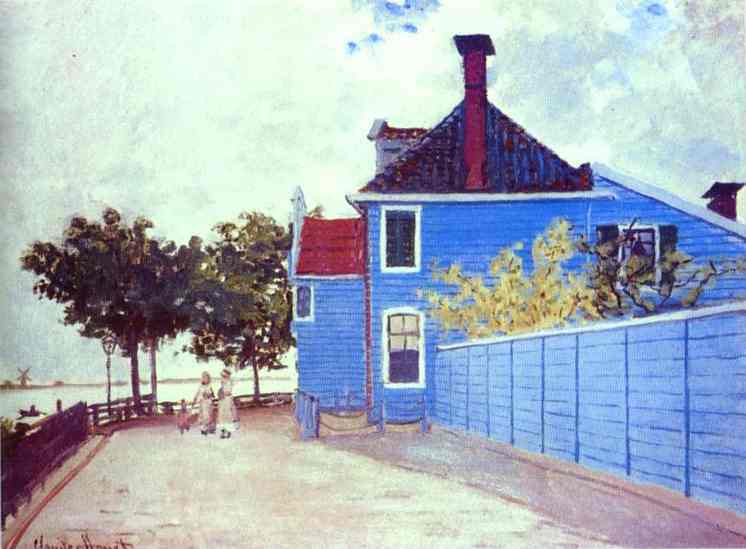 1853 - Vincent van Gogh is born in a small village near Antwerp. 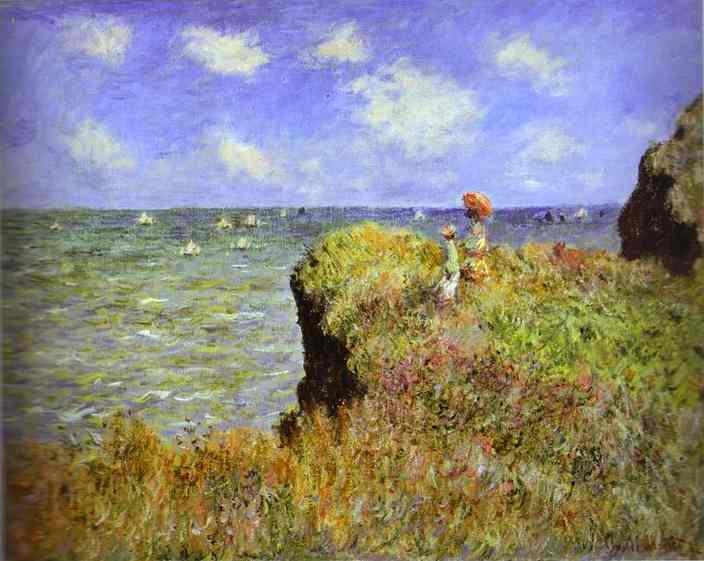 1858 - Pissarro attends the Académie Suisse and meets Monet; in Le Havre Monet meets Eugène Boudin, who encourages him in his painting. 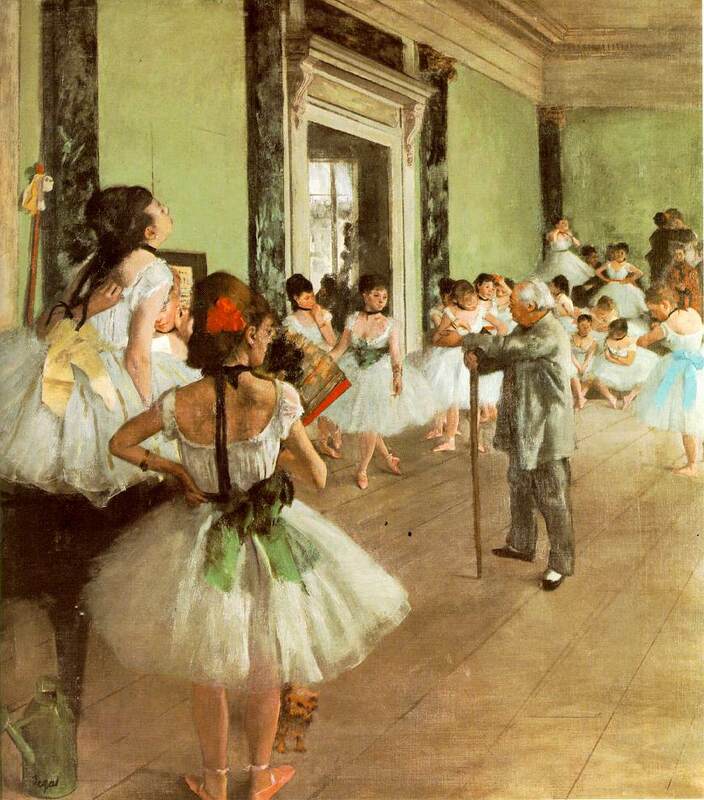 1862 - Manet comes into an inheritance; he paints La Musique aux Tuileries and meets Degas, who is beginning to paint race scenes at Longchamp. In Paris Cézanne fails the Ecole des Beaux-Arts entrance exam. 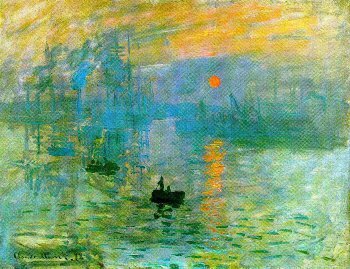 Monet is working in Le Havre. 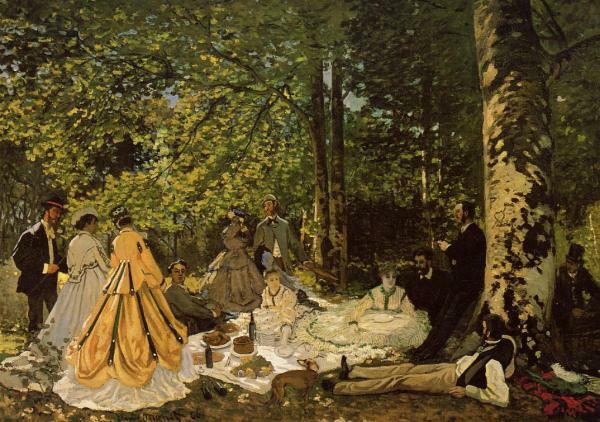 1863 - Manet exhibits at Martinet’s gallery in Paris. 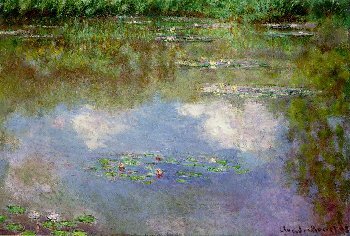 Cézanne studies at the Académie Suisse in Paris; Monet works in the forest of Fontainebleau, and Berthe Morisot works at Pontoise. 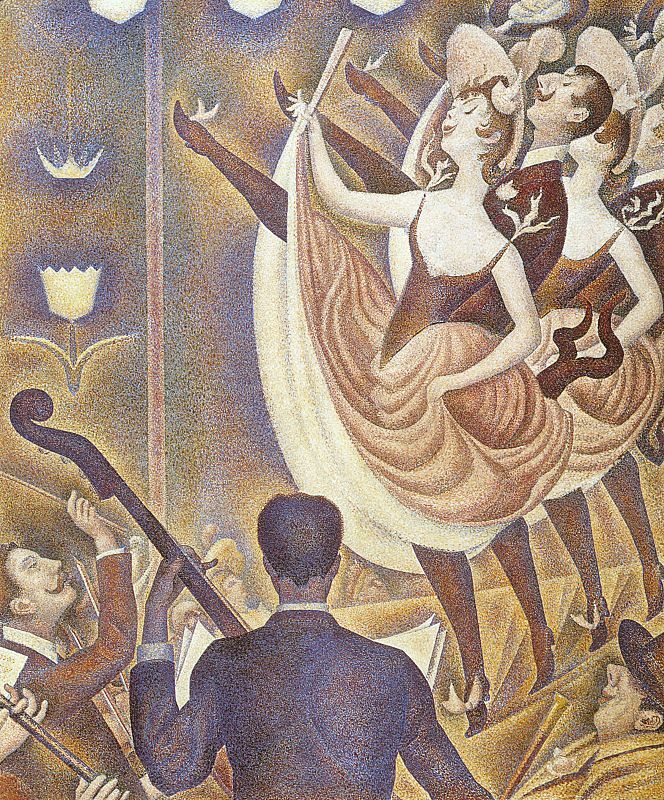 On Jan.15 the Salon des Refusés opens, a special exhibition of works refused by the Salon of 1863. 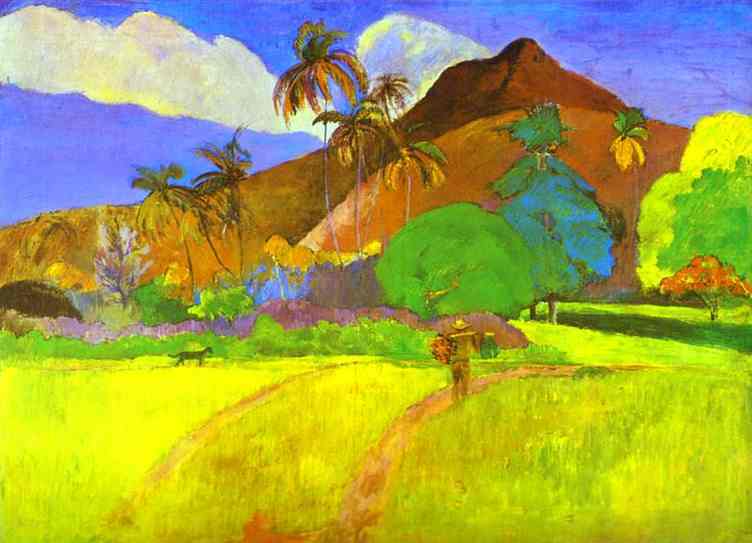 It contains works by Manet, Cézanne, Pissarro, Guillaumin, and James A. M. Whistler. 1865 - Manet’s second exhibition at Martinet’s is well received, but Olympia at the Salon arouses a storm. 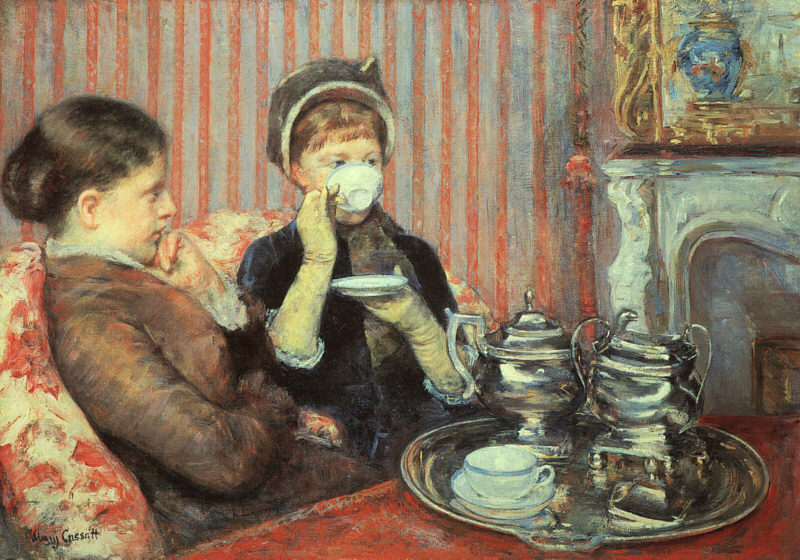 Pissarro, Renoir and Morisot are well received at the Salon. 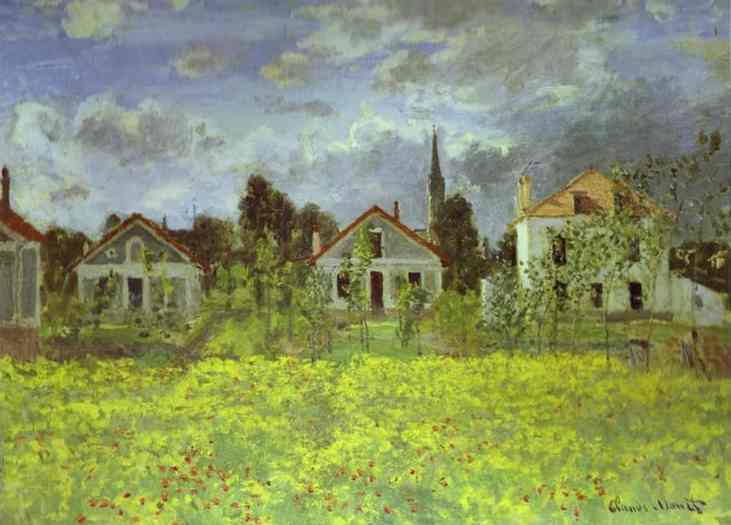 Monet shares a studio with Frédéric Bazille. 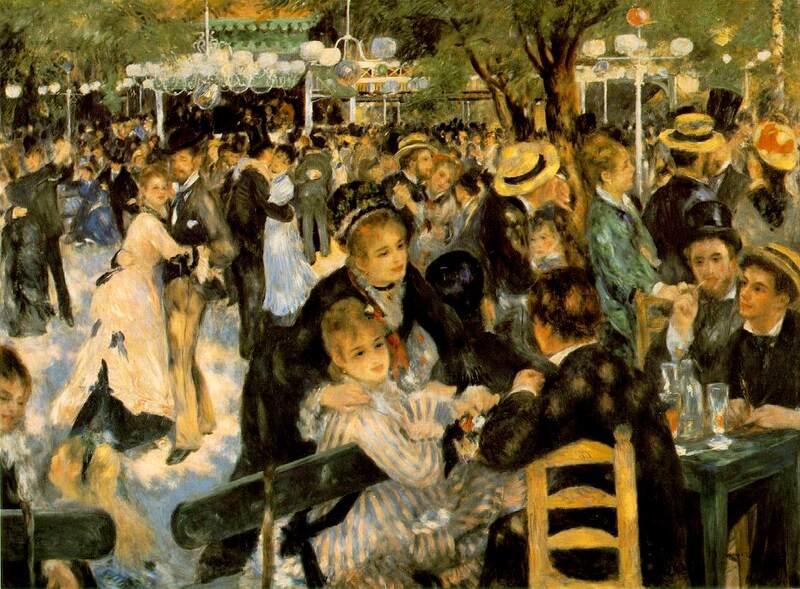 1869 - Café Guerbois becomes the favorite center of the Impressionists. 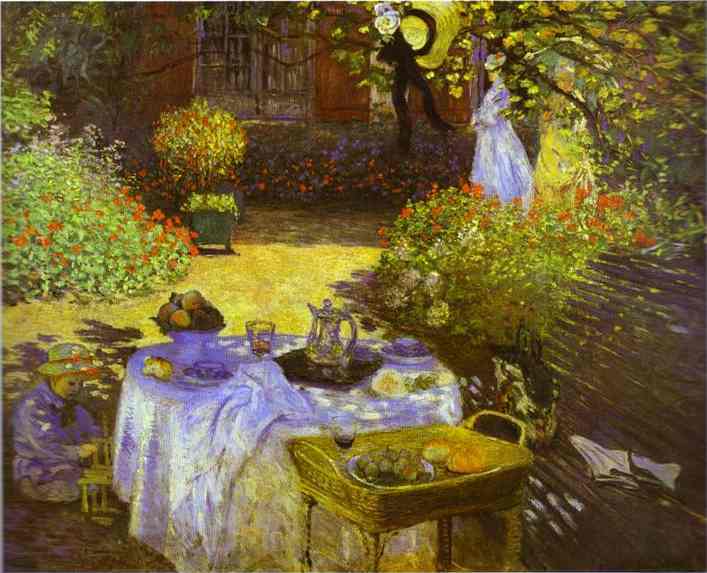 Monet becomes a regular at the café. 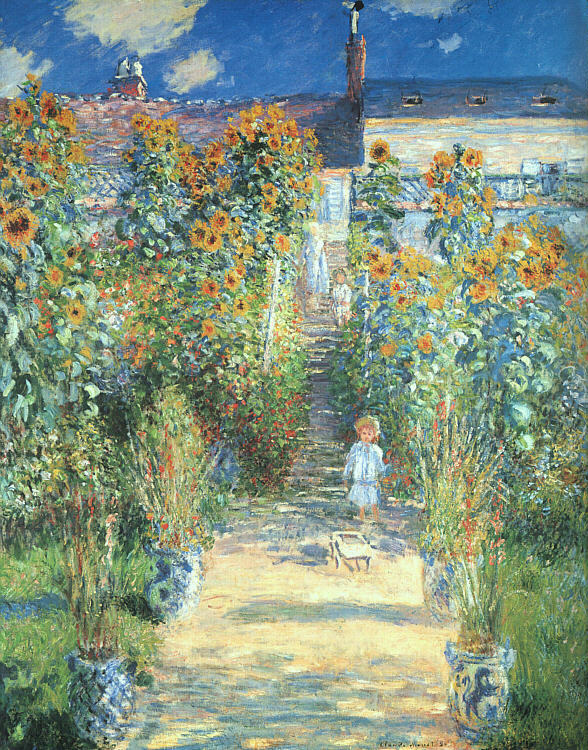 Pissarro works at Bougival with Renoir, who has one work accepted by the Salon. 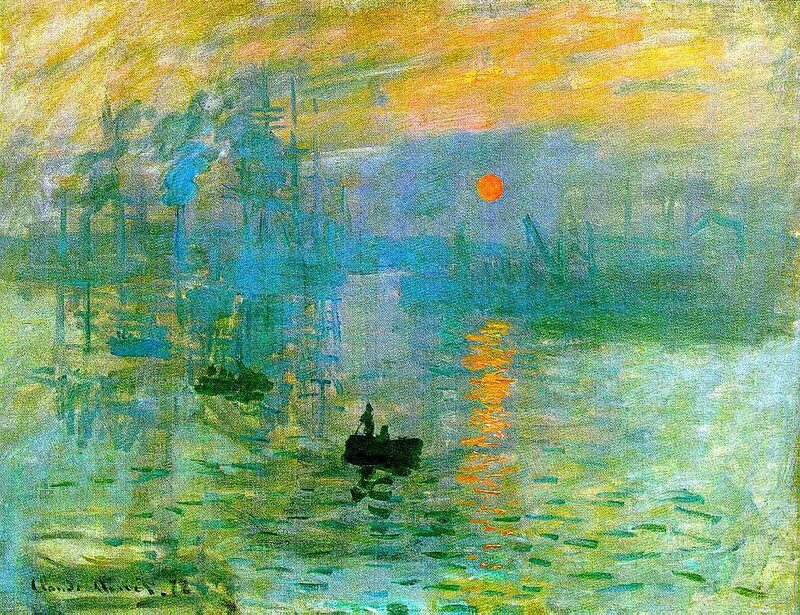 1872 - Monet's "Impression: Sunrise" is exhibited in the Paris Salon. 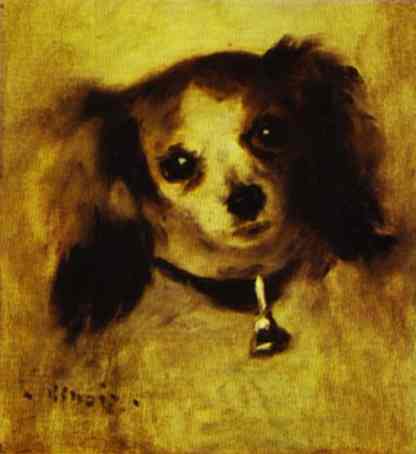 1873 - Manet’s Bon Bock is well received at the Salon, and he meets Stéphane Mallarmé, a passionate literary proponent of Impressionism. 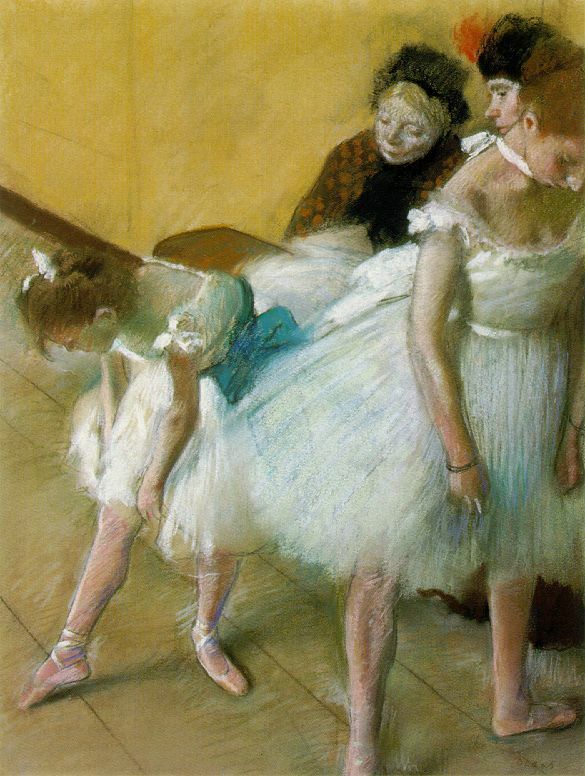 One of Degas’ pastels is bought by the American Mrs. Havemeyer. 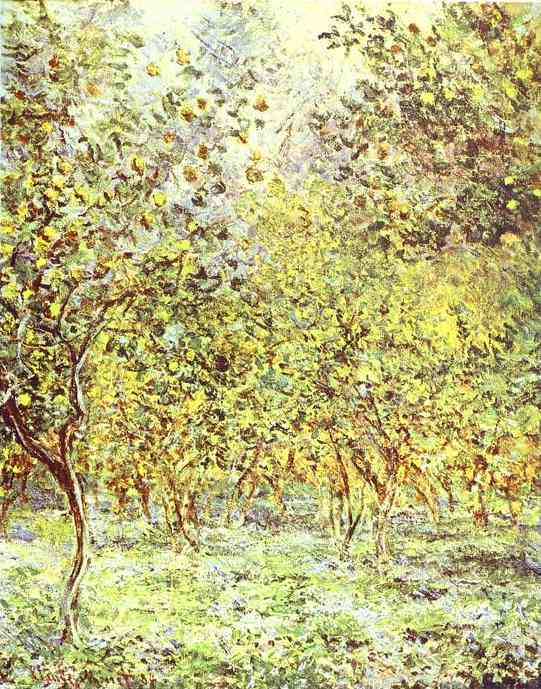 Pissarro's pictures fetch fairly high prices at auction. 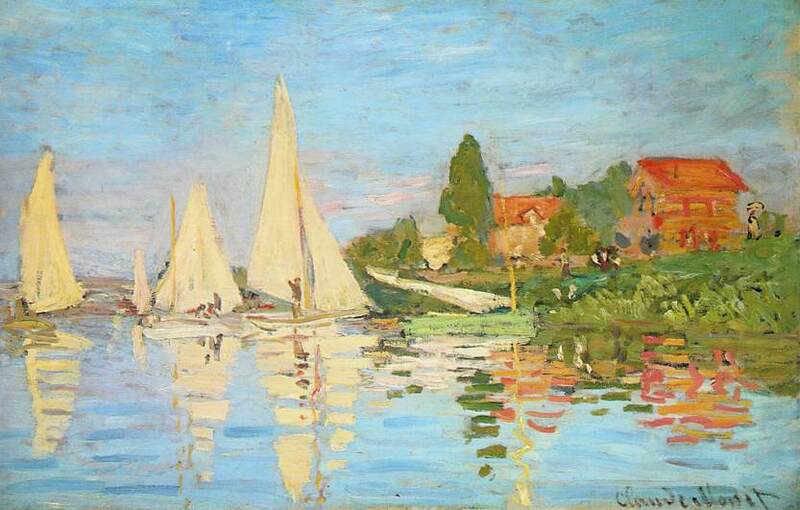 Monet, now working in Argenteuil, takes up the plan first suggested in 1867 for a group Impressionist exhibition. 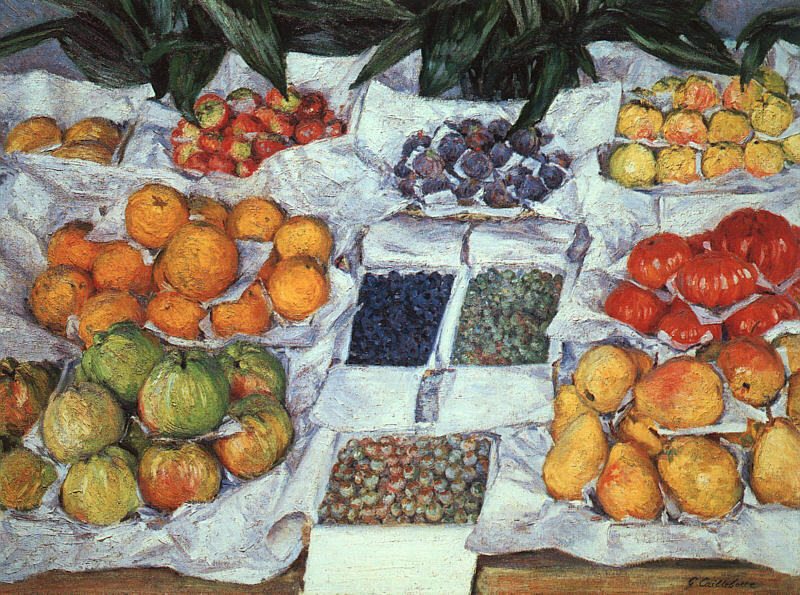 Renoir enters art dealer Paul Durand-Ruel’s stable, meets Guillaumin, and has a considerable success at the Exposition des Refusés. 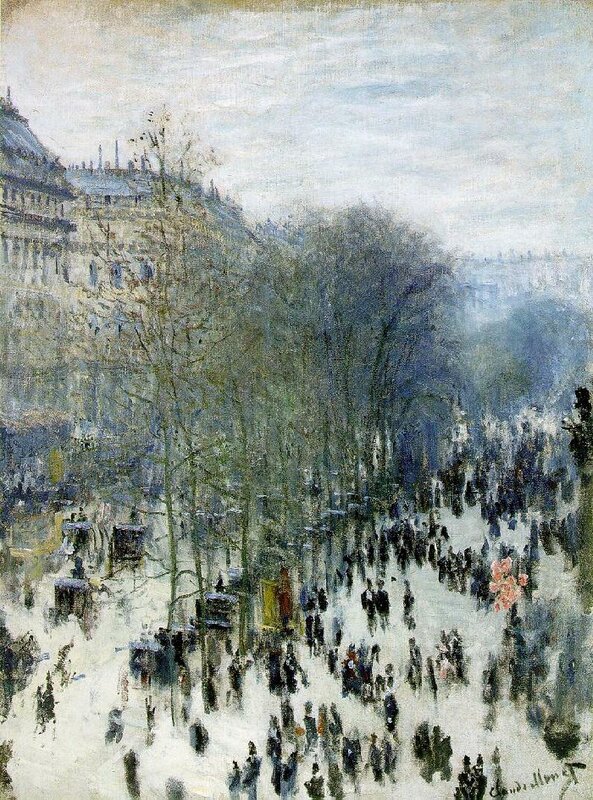 1874 - The first Impressionist exhibition is held in Paris. 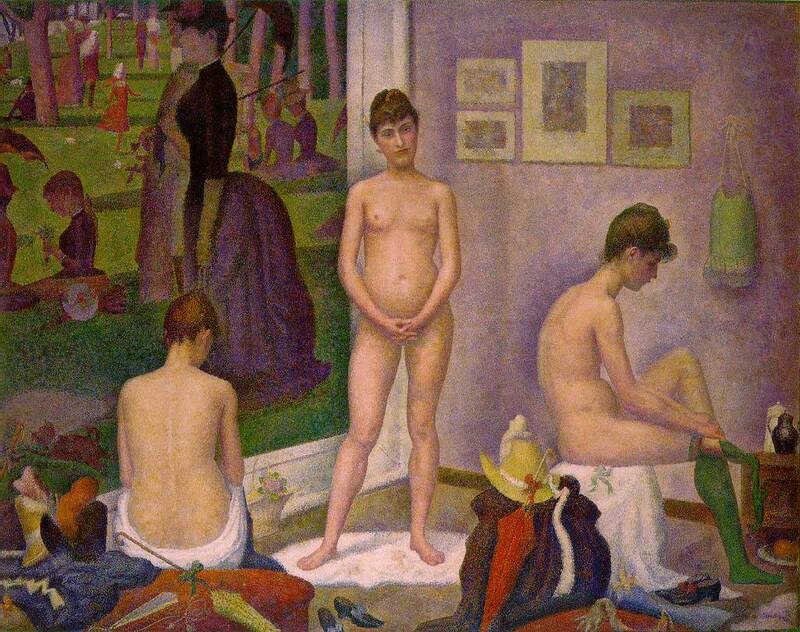 Durand-Ruel stages an Impressionist exhibition in his London gallery. Manet starts to reap the benefits of his friendship with Mallarmé, who protests the Salon’s rejection of Manet’s paintings. 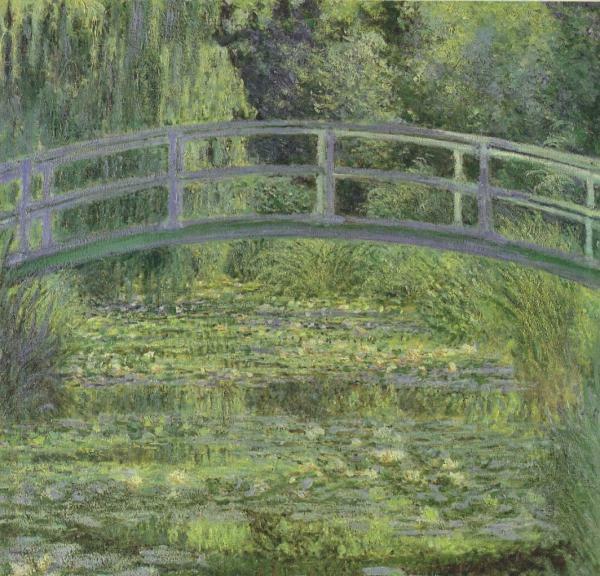 Refusing to participate in the Impressionist exhibition, Manet works at Argenteuil with Monet; Renoir soon joins them. 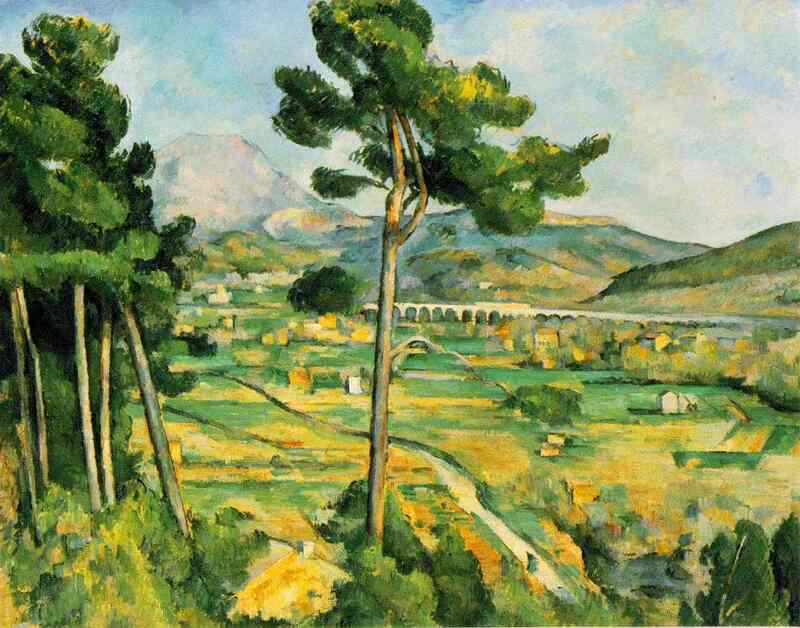 Pissarro insists on Cézanne’s participation and, though he sells one of the works he shows, Cézanne arouses derision with his Modern Olympia. Morisot, who exhibits nine works, spends part of the year with the Manet family at Fécamp and marries Eugène, Edouard Manet’s brother. 1876 - The second Impressionist exhibition is held in Paris, with 20 participants. 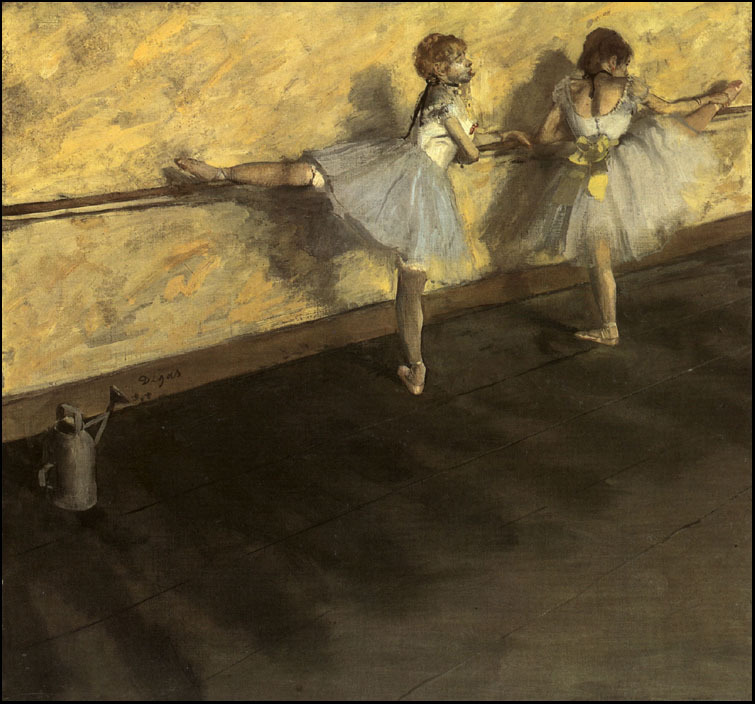 Degas exhibits 24 works. He also loses momst of his personal fortune by bailing his brother out of financial difficulties. Renoir’s fortune looks good as a result of meeting George Charpentier, a patron of art and literature. Mallarmé publishes a flattering article about Manet. 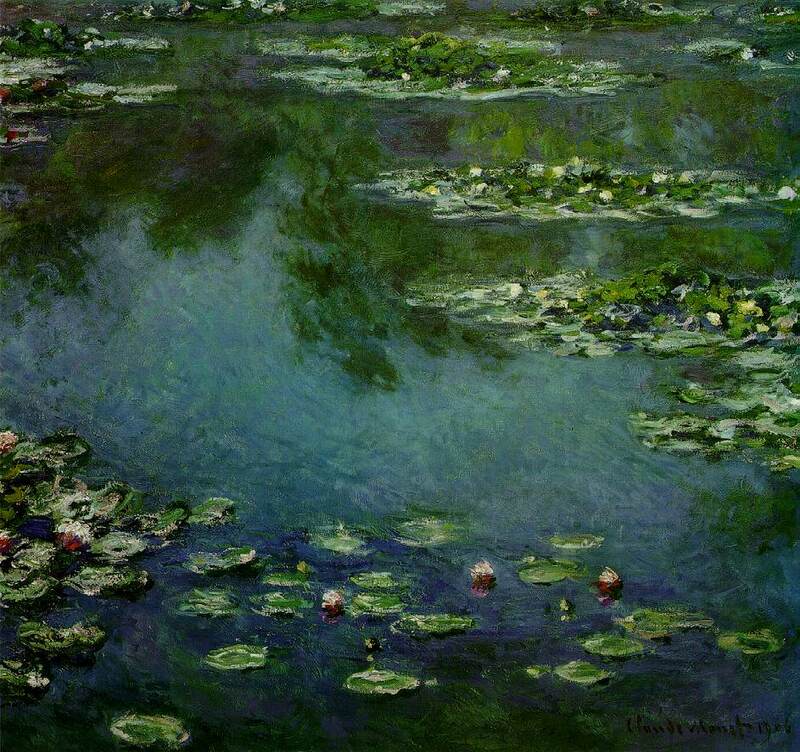 1877 - The third Impressionist exhibition in Paris has 18 participants. 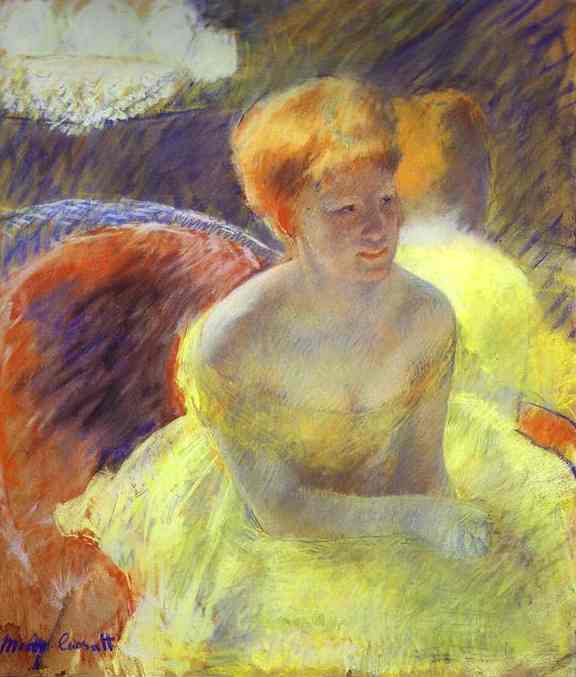 Degas invites the American Mary Cassatt to join the group. 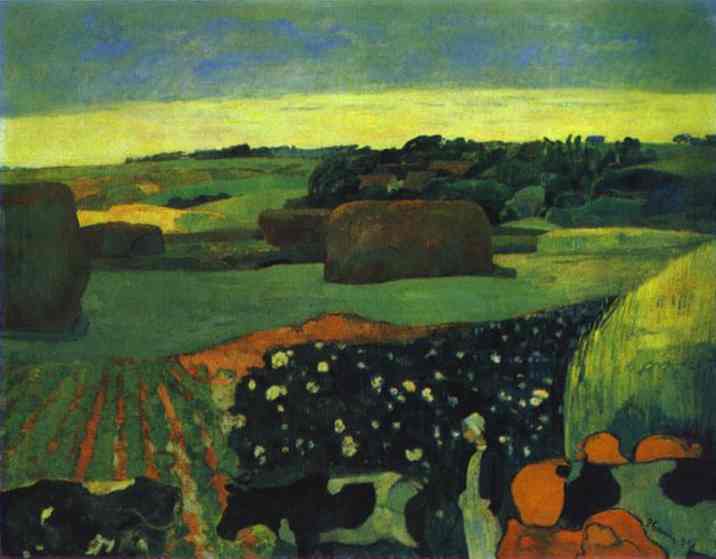 Pissarro and Cézanne leave L’Union, a group started by Pissarro and Alfred Meyer. 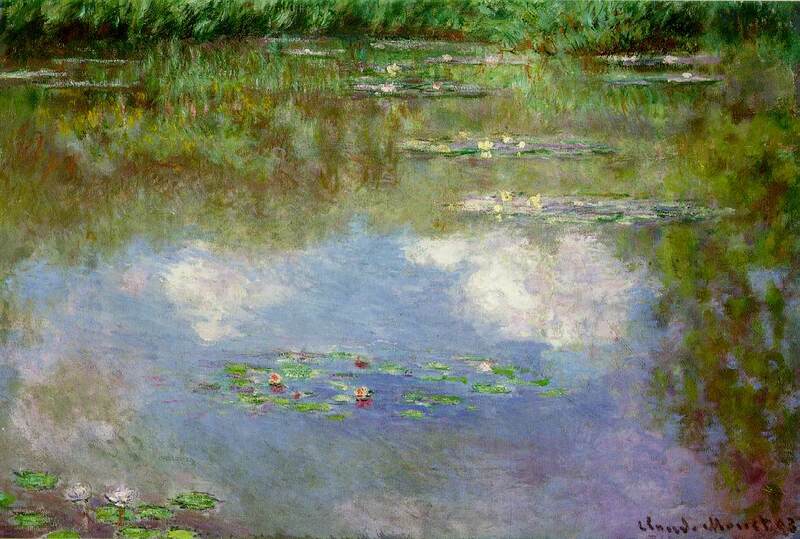 Monet, still in dire straits, exhibits 30 paintings, Renoir 17 and Morisot 19. 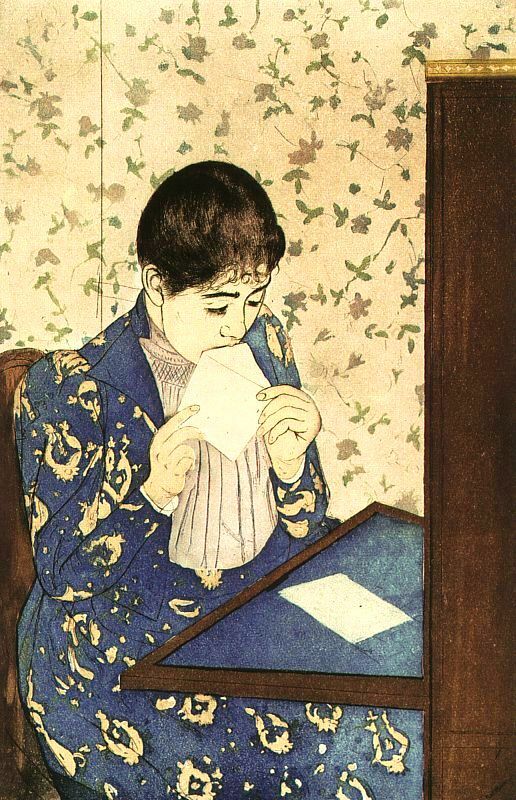 Georges Rivière edits L’Impressionniste, a periodical defending Impressionism, during the run of the exhibition. 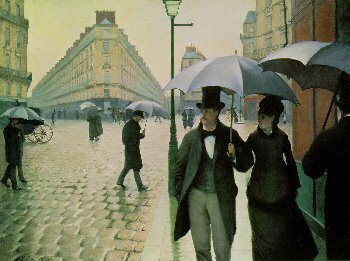 1879 - The fourth Impressionist exhibition in Paris has 15 participants. 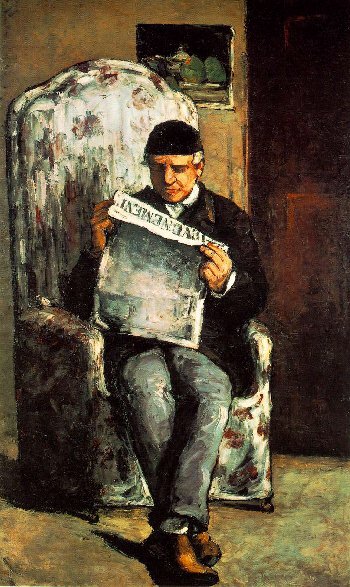 Manet exhibits two works at the official Salon, though the exhibition is savaged by art critic Joris-Karl Huysmans; all of Cézanne’s entries are rejected. 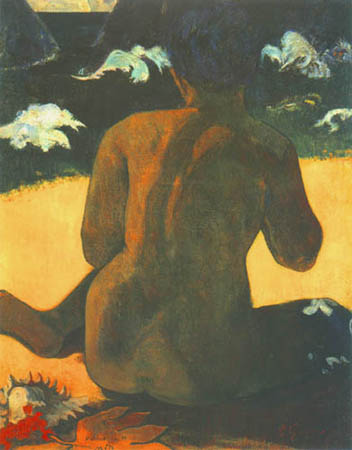 Pissarro invites Paul Gauguin to submit to the group exhibition, and he shows one sculpture and seven paintings. 1880 - Fifth exhibition in Paris, which includes 18 participants. Manet’s Execution of the Emperor Maximilian is exhibited successfully in the U.S. and he has a one-man exhibition of pastels at La Vie Moderne in Paris; his health deteriorates. 1881 - Sixth exhibition in Paris; 13 participants. 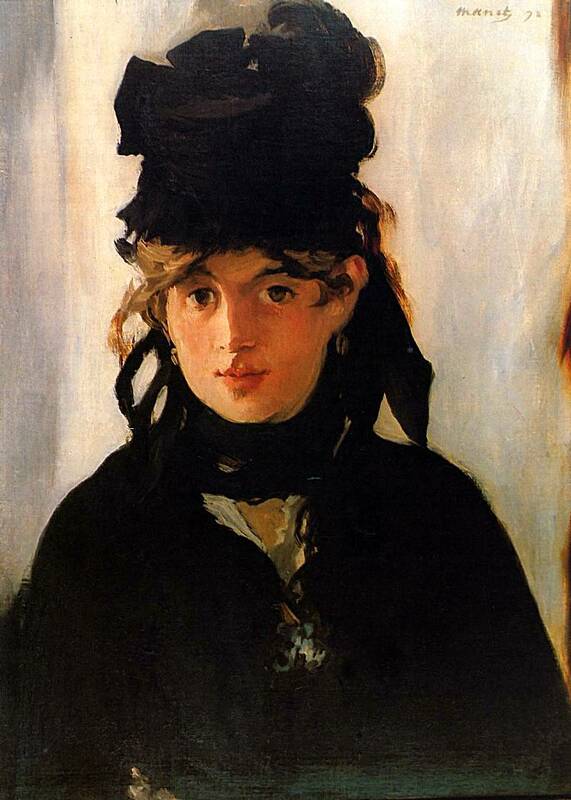 Manet, now seriously ill, is awarded the Legion of Honour. 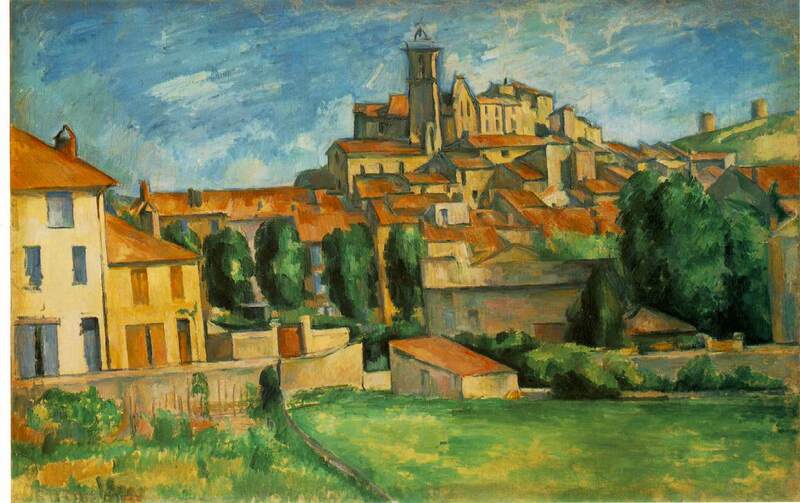 Pissarro is working in Pontoise with Gauguin and Cézanne, who at the end of the year returns to Aix. 1882 - Seventh exhibition in Paris; nine participants. 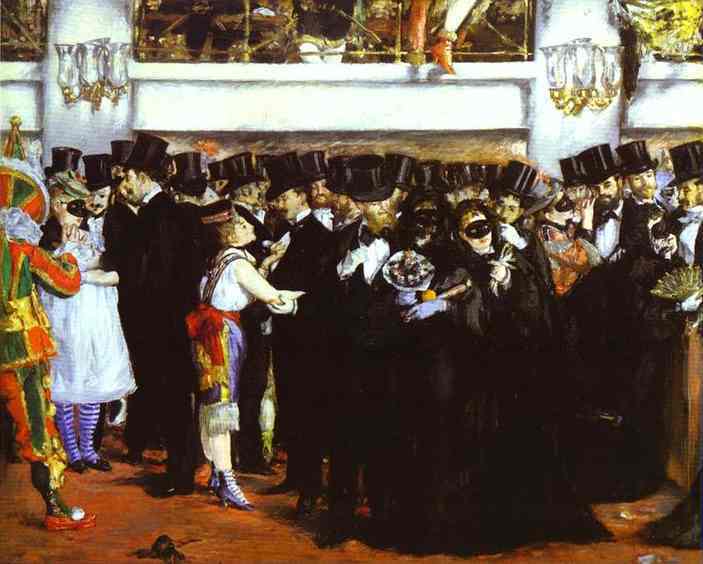 Manet shows Le Bar aux Folies-Bergère at the Salon. 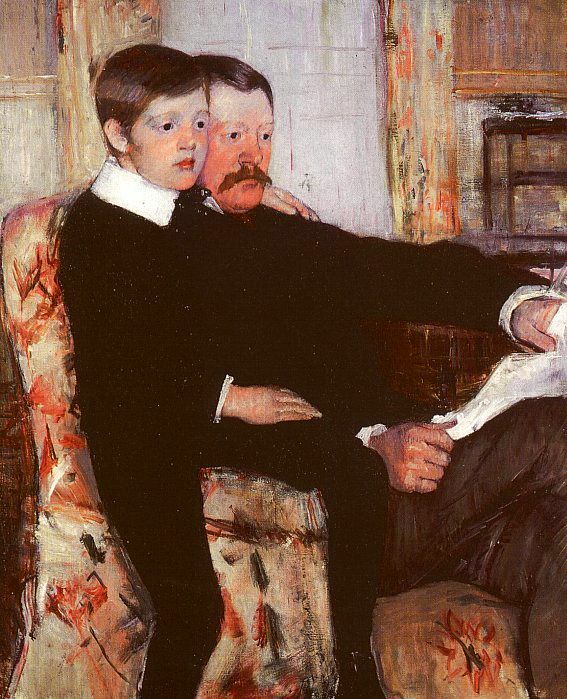 1883 - Manet dies on April 30. 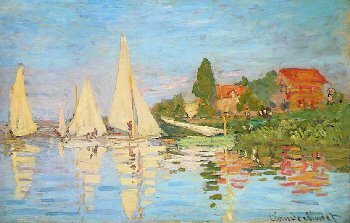 Durand-Ruel arranges a series of one-man exhibitions in his new gallery: Monet in March, Renoir in April, Pissarro in May, Sisley in June. 1886 - Final exhibition in Paris; 17 participants. Durand-Ruel has successful American exhibition. 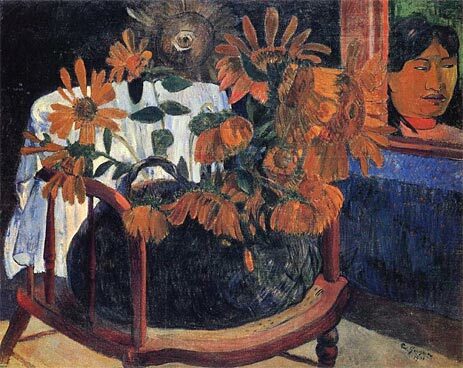 1890 - Vincent van Gogh dies at Auvers-sur-Oise. 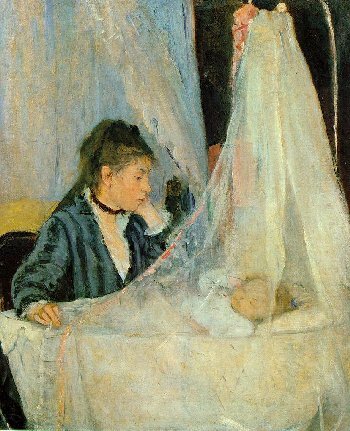 1895 - Berthe Morisot dies. 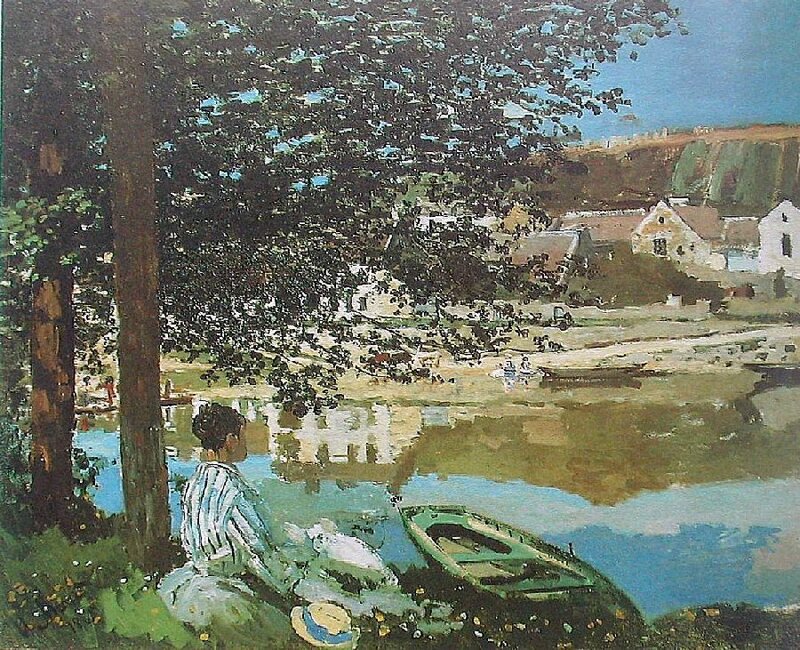 1899 - Alfred Sisley dies. 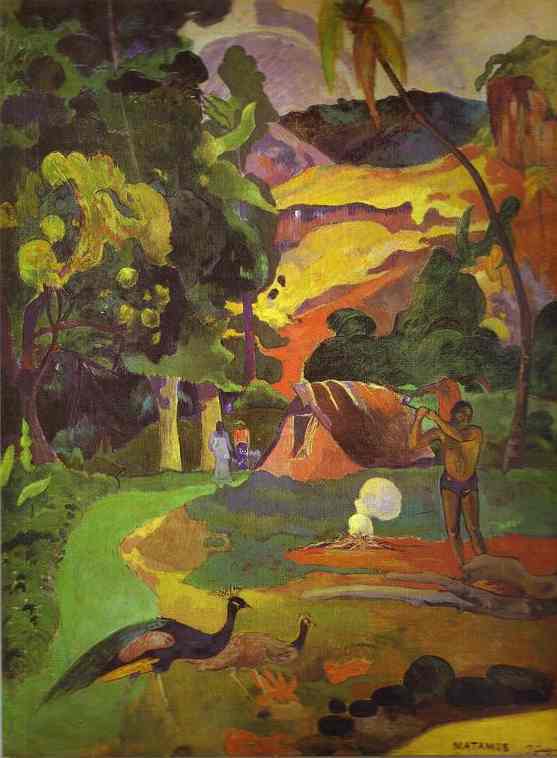 1903 - Paul Gauguin dies at Atuana, Marquesas Islands. 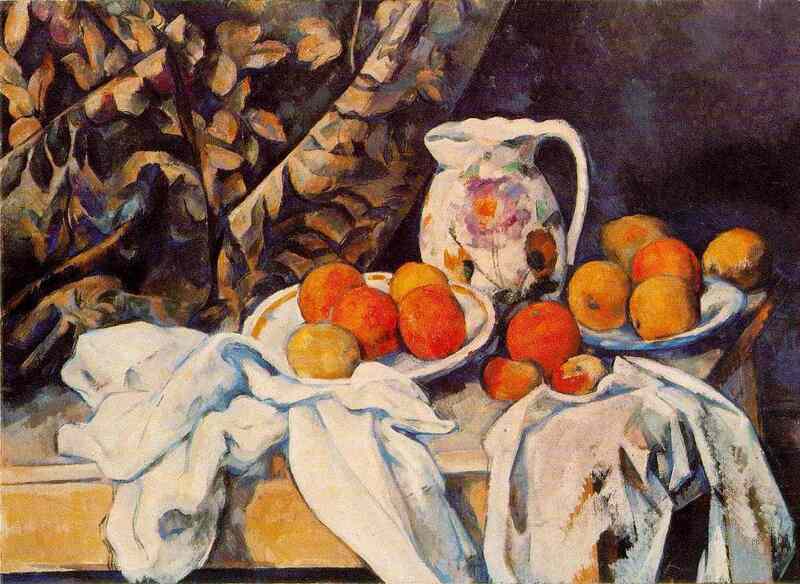 1906 - Paul Cézanne dies. 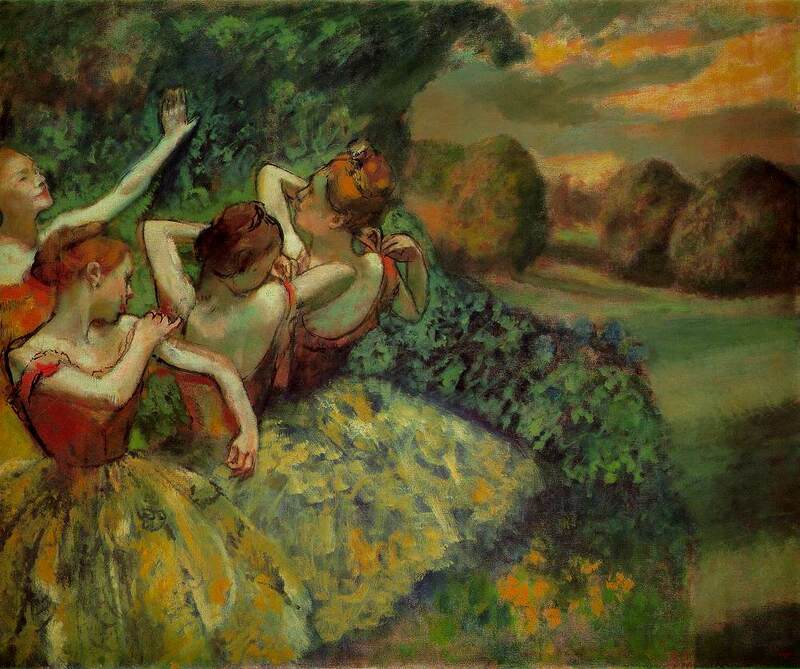 1917 - Edgar Degas dies. 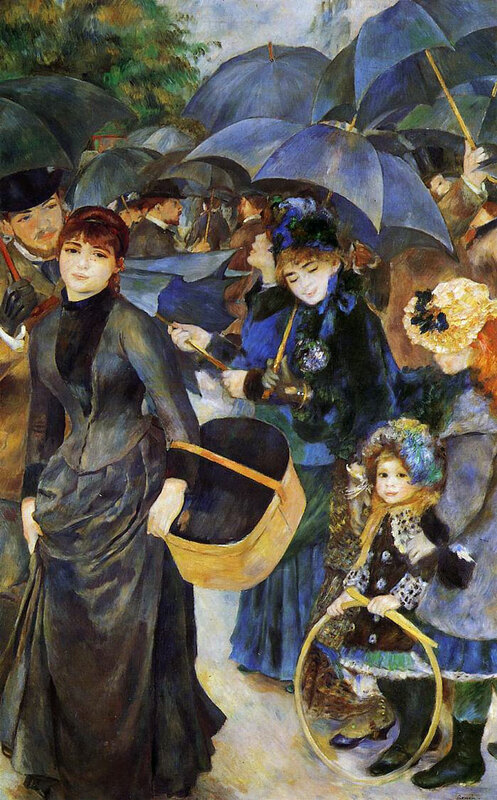 1919 - Pierre-Auguste Renoir dies. 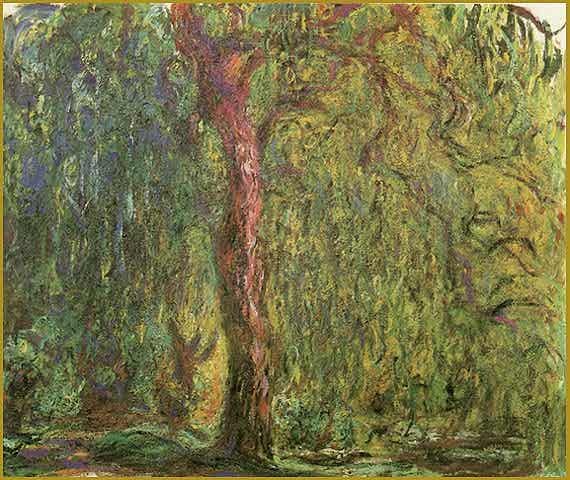 1926 - Claude Monet dies at Giverny. 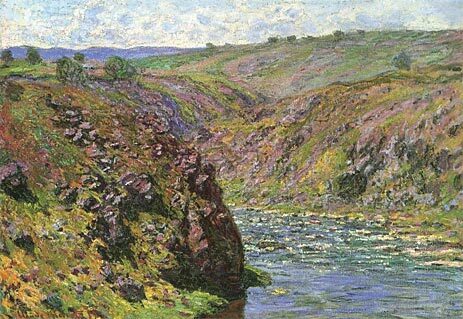 1927 - Armand Guillaumin dies. The Impressionists, by Michael Wilson, Phaidon Press Limited.